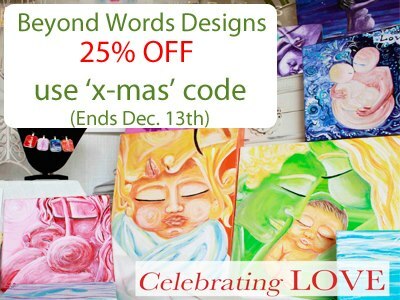 Rose and Her Lily: Beyond Words Designs SALE! Stephanie from Beyond Words Designs has an amazing deal going on over at her shop: 25% off everything through December 13th! You don't want to miss this. Her work is GORGEOUS! She has lovely journals, prints, jewelry and magnets. I put in my order of things I've been wanting to get for a while...perfect for things for yourself or as gifts! To shop at Stephanie's online store and use this amazing deal, click here. Be sure to use the code 'x-mas' at checkout in order to receive the discount. Also, keep up with her by becoming a fan on facebook and by visiting her website/blog.